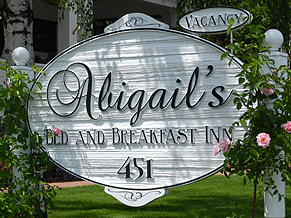 On the Road to Abigail's: Four days and counting! I have to admit I did not pull out all of our Christmas decor this year; our first Christmas in Ashland. We set up and decorated the Christmas tree a few weeks ago only to be reminded that we were scheduled to have floor work done at some point in December. For one full week the dining room tables and chairs were stacked on top of each other, in front of the Christmas tree in the parlor, while the hardwood floor repair work was completed. I didn't focus on the fact that an electric saw would be used "in" the house and as soon as I heard the whine and whir of the saw I came running from the back of the house in a full panic grabbing old sheets as I ran. I quickly and somewhat haphazardly threw the sheets over the furniture but how could I throw a sheet over a Christmas tree that I couldn't reach because of the stacked furniture?! I have an extensive collection of nutcrackers, each of which would normally be assigned to gallantly preside over a stair, but the state of our stairs is not conducive to fragile nutcrackers, not this year! So in the end, and after all of the sawdust was wiped away and even though we didn't deck the halls with boughs of holly, the parlor is warm, lovely and inviting, and there is always next year, right? Until then we wish everyone the very best the holiday season can offer.